India needs new fighter jets, and the world's leading manufacturers are lining up to provide them. The South Asian nation's government has sent letters to several companies regarding a new fleet of military aircraft, to be jointly produced with local firms. A potential deal, according to experts, could be worth up to $12 billion. "India is looking at paying $65 to $80 million per aircraft for 150 aircraft," says Ben Moores, a defense and aviation analyst at IHS Jane's. The country faces an elevated sticker price for the fighters because government rules require most of the manufacturing to take place in India. The requirement, which is part of Prime Minister Narendra Modi's "Make in India" initiative, is believed to have been a roadblock in India's most recent military aircraft deal with France. That deal, which originally called for French company Dassault to supply the Indian air force with 126 Rafale fighters, underwent lengthy negotiations due to disputes over the local production clause. Under the final terms of the sale agreed by India and France last month, India will only get 36 jets. 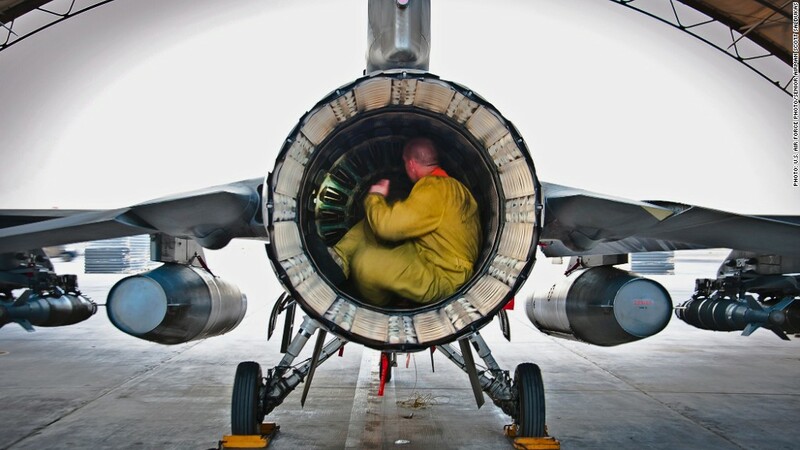 Maintenance is performed on a F-16 fighter jet. Other companies appear more than ready to fill the gap. U.S. manufacturer Lockheed Martin and Sweden's Saab are the leading contenders. "We are prepared to provide a solution under the 'Make in India' program," said Saab spokesman Sebastian Carlsson, who confirmed that the company has received the Indian government's letter. Carlsson touted his company's deal to supply Brazil with its Gripen fighters as a blueprint for a potential agreement with India. Saab is transferring technology to local firms as part of the deal, and is even training Brazilian engineers. It's "an example of the way we like to do business," Carlsson said. He added that Saab was preparing an official response to India's letter. 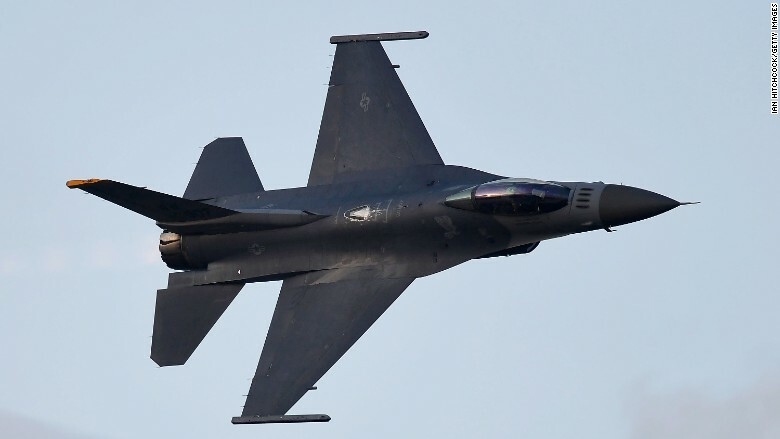 Lockheed Martin (LMT) has gone a step further, offering to make India the sole global manufacturing hub for its F-16 fighter if offered the deal. "Exclusive F-16 production in India would make India home to the world's only F-16 production facility," said Abhay Paranjape, Lockheed's national executive for business development in India. "None of our competitors can offer that." Paranjape said the company, which has received and responded to the government's letter, envisions "a joint venture model with Indian industry as prime owner." While India appears to have begun the procurement process in earnest, past instances suggest a final deal — especially of the magnitude being discussed — will be anything but straightforward. "There might be a strategic eagerness for modern aircraft but the reality is that bureaucratic hurdles and state owned industrial self-interest outweigh the requirement urgency," says Moores. "If India can sign a deal and make it stick that will be impressive in its own right."